Kung Hei Fat Choi! It’s time for Chinese New Year fun! Celebrations are in full swing here in Hong Kong and I’ve gathered activities, crafts, and recipes from around the internet to help you be able to celebrate with your family too! * Below may contain affiliate links. Which means if you use my links to make a purchase I receive a small commission, at no cost to you, to help keep this blog going. To see more, please see my disclosure policy. Chinese New Year is the biggest holiday in Chinese cultures. It’s essentially a mix of Thanksgiving, Christmas, and New Years to us Americans and Canadians. Yes, it’s that big. Adorning walls, window, and doors are red scrolls or diamond shaped paper with well wishes and hopes for the future. Kids are roaming around in intricately designed ensembles in respect of traditional Chinese fashion. Little orange bushes are stationed outside doors, while orchids bloom inside. People line up in banks for hours waiting to get fresh, crisp money to give inside lai see packets to children and service workers. Roads become dumpster diver’s dream locations as everyone does their spring cleaning to dispel evil spirits and prepare for the New Year. It’s time for Spring Festival. This year, 2019, Chinese New Year officially starts on February 5th as Day 1 of the Year of the Pig. Hong Kong mostly shuts down on this day except for private touristy places like the theme parks. In fact, day 1 and day 2 of Chinese New Year are the best times to go to the theme parks, because all the locals are visiting family. However, the public holiday lasts the first three days. Unless one of those days falls on a Sunday, in which case it goes to the 4th day as Sunday is a normal day off anyway. All in all though, CNY lasts until the 15th day when they have a lantern festival, though the rest of the days are not as celebrated as the first three. You can read about our experience last year here. An evening of firecrackers, delicious meals, and family. You may spend the evening making dumplings as they symbolize wealth. Now a days though, many families have these dinners in the week or so beforehand. Traditionally fireworks or firecrackers are on new year’s eve, but in Hong Kong the big event is in the evening of the first day, this year the 5th. This is the day that you also go visit the eldest members of your family. There is NO CLEANING to be done on this day. Probably my favorite tradition of all, even if I don’t believe in the reason behind it lol. This is the day where you usually visit the wife’s family (as historically you wouldn’t usually get to see them otherwise as you live with your husband’s family). Many believe that you shouldn’t visit family or have guests, it’s unlucky. And some even believe that you shouldn’t leave your house (more rural Hakka beliefs). If you do, then it’s the day to visit temples of the god of wealth and have your future told. For most these days it’s a rest or adventuring day. And to be honest, it seems wise. Like they must have foreseen that spending 3+ days with so many relatives, and cleaning and preparing for days or even weeks beforehand would be too exhausting and so they built in a day of rest! Lion Dances from house to house. While the lion dances can be seen all over shopping malls before Chinese New Year, it’s during the first three days that you’ll find them going house to house. You hang some lai see with money and lettuce leaves from a balcony on the floors above. How much you give depends on how many blessings you want on your household, but usually at least 500 hkd or over 50 usd. Then the dragon comes and does a dance before hopping up and ripping the prize free, hopefully breaking the bamboo in the process. He then eats it all and then spits the leaves back at your home. It’s quite a sight! Here’s our video from last year. You can throw away trash from the new year’s festivities now. The end of the Lunar New Year festivities, culminating in the Lantern Festival. Candles are lit to guide wayward spirits home and people walk around with lanterns. Some these days are adorable. Like walking a lantern dog. So you have 15 days to enjoy making food and crafts and doing activities celebrating Lunar New Year! With that in mind, I’ve scoured the web looking for the most fun or the most authentic activities, food, and books for this time. Not all are authentic mind you, but if not, they certainly are fun! Books about Chinese New Year to share with your children! This is a must have book to really understand modern Chinese New Year, especially in Mainland China. It’s about a father who works away from home all year and gets to come home for Chinese New Years and everything he has to go through in order to do so. And about the love of father and child despite that distance. A book filled with bright colored images, especially the color red. It answers common or fun questions about Chinese New Year in an easy to understand way. Available in print or an ebook. If you want to really learn what the Chinese believe about each animal of the zodiac, then this is a clever book for children. It looks at each animal of the zodiac’s strengths, weaknesses, and even what kind of job may be most suitable for them! 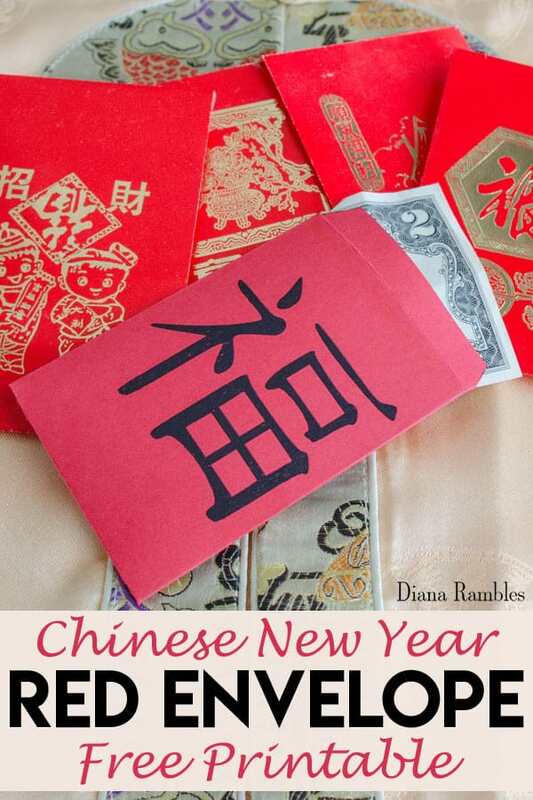 A great example of a non-fiction book about Chinese New Year perfect for young readers. It features simple text and beautiful images and covers the why and how of Chinese New Year Festivities. “When a boy goes to the market to buy food and comes home with an old wok instead, his parents wonder what they’ll eat for dinner. But then the wok rolls out of the poor family’s house with a skippity-hoppity-ho! and returns from the rich man’s home with a feast in tow! Crafts for Kids During Chinese New Year! 1) An Easy and Authentic Chinese Lantern From Lai See Packets– Use your left over or used red envelopes to create this simple lantern and Cantonese greeting. 2) Free Printable- Red Envelopes- Don’t want to go out and buy your own red envelopes? Diana Rambles has you covered! She even has some yummy recipes to make! 3) Chinese Lantern Sun Catcher- This activity takes little prep, but is super easy for even toddlers to do with some help. 4) Fingerprint Lantern Craft for Chinese New Year– This would be an adorable craft to even do with your baby! Though of course you would be doing the drawing on your own lol. 5) Paper Dragon Puppet- This adorable dragon may appear difficult with his accordion body, but it’s actually super simple to do. Use red and gold to make him even more ready for Chinese New Year. 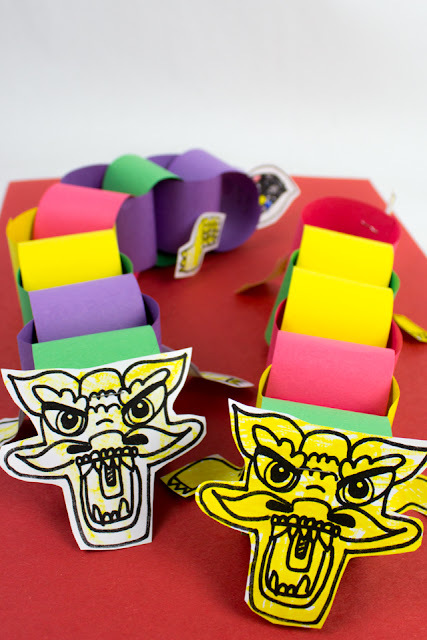 7) CNY Paper Chain Dragons- This adorable craft would also go really well with learning about making patterns! She includes a free printable as well. 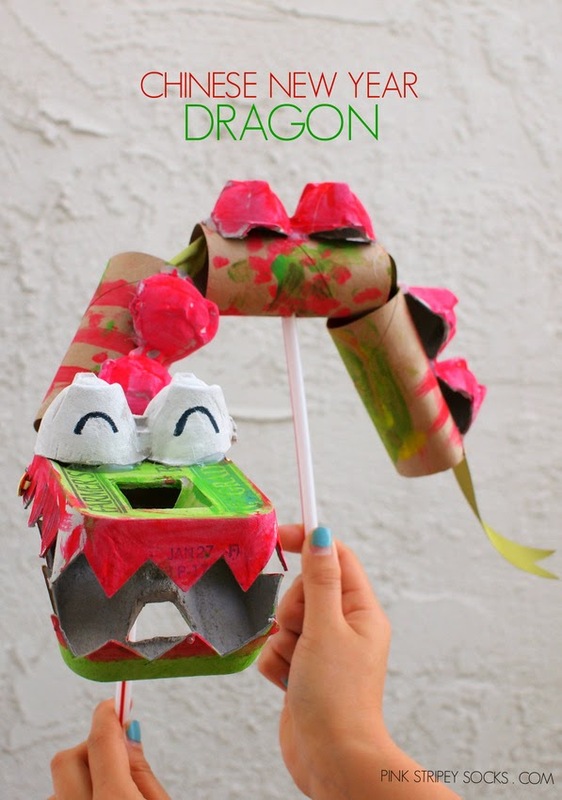 8) Recycled CNY Dragon Craft- You probably have everything you need to make this moveable dragon puppet! 9) Chinese New Year Drum– Beware! Noise ahead lol! 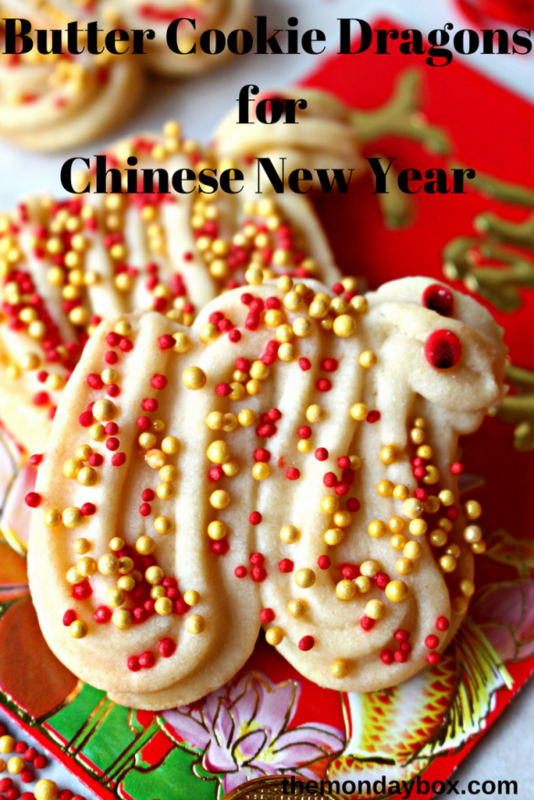 Here’s a fun craft to make a a CNY drum! 10) CNY Zodiac Coloring Lanterns for Kids- Free printable coloring sheets and directions to make lanterns for the different animals of the zodiac. 11) Pig Paint Chip Craft– 2019 is for the year of the pig and this is a simple and fast craft using paint chips from and home store. Man I miss those stores. 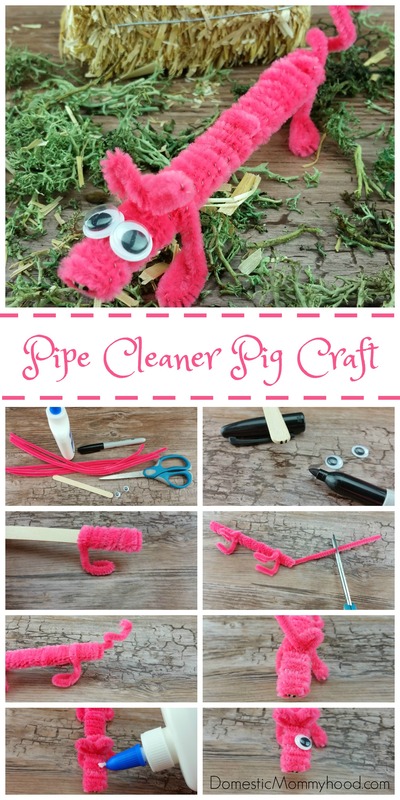 12) Pipe Cleaner Pig Craft– Another simple and quick pig craft using pipe cleaners, a popsicle stick, and googly eyes! 13) Paper Plate Pig Craft– This little pink piggy made with simple shapes and materials, is so cute! 14) Kawaii Pig Milk Bottle Craft– Not specifically for CNY, but it’s a craft that’s out of the ordinary, but also functional! 15) Good Luck Marzipan Pig Candy- While originally posted as a traditional symbol of good luck in Scandinavian countries at Christmas and New Years, I thought it a perfect addition to our year of the pig crafts for CNY. 1) Free Printable- Year of the Pig Coloring Sheet– A simple wreath surrounding a happy pig that would be perfect for CNY cards! 2) A Large Variety of Free Chinese New Year Printables- You should be able to find something for everyone on here. There are so many ideas! 3) The Chinese New Year Puppet and Story- A great activity to bring the Chinese Zodiac story to life. 4) Chinese New Year Sensory Bin– keep those Chinese take out utensils and Christmas decorations for this simple sensory activity. 5) CNY Sensory Play with Spiced Play Dough– A DIY play dough that plays with all the senses and would be great to use to make Chinese Characters. 6) CNY Slime Recipe– I admit, I hate slime. I mean a teacher ended up with some in her hair last week just sitting in rehearsals, I had students steal glue for it, and the texture is not my fave lol. But It’s so popular! So here’s one fitting for Chinese New Year. 7) Chinese Lantern Festival Riddles- Test your knowledge fo CNY with these fun riddles. 8) Free Chinese New Year Songs and Rhymes- From a Montessori classroom for circle time, any young child will love these activities. 9) Chinese New Year Yoga for Kids– I’m all about yoga lately. Here’s a great way to incorporate it into learning the zodiac animals. 10) Preschool Learning Trays for Chinese New Year– lots of organized activities all around CNY. 11) 4 Printables and Activities for the Year of the Pig– Thanks to Mandy’s Party Printables for these activities. 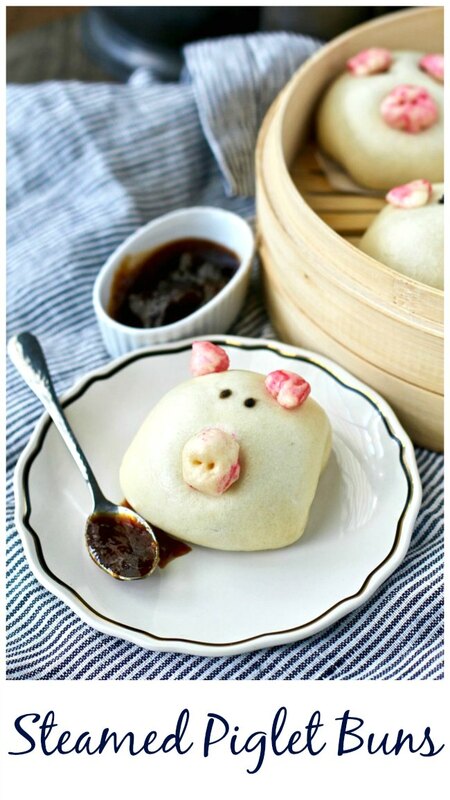 1) Steamed Piglet Buns– This traditional bun gets a twist for the year of the pig! Based off of what we call Cha siu bao, this yummy treat is a great addition to your new years festivities. 2) Chinese Oven Steamed Fish– This is a very authentic recipe not only for CNY, but of Chinese culture in general. I love that not only does she give you how to make it, but a little of the history and cultural significance as well! 3) Yee Sang Chinese Salad- Another authentic dish in some areas of the world. And with all those colors you know you’re getting vitamins lol. 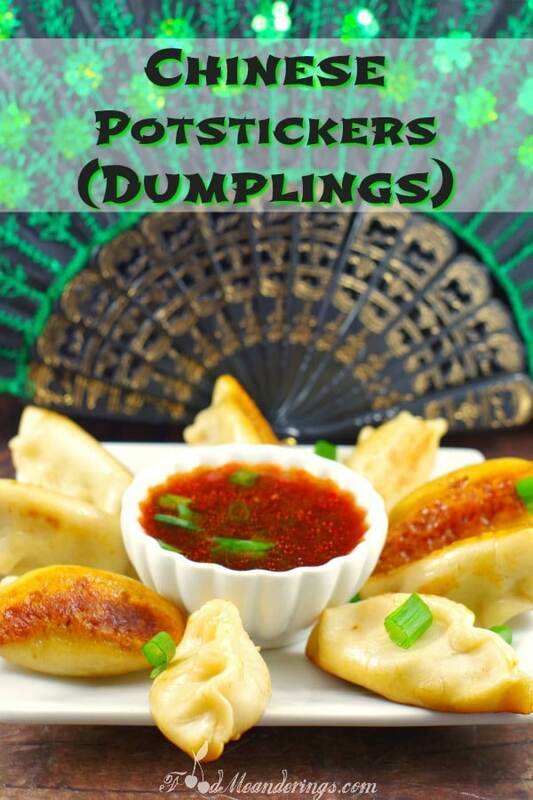 4) Chinese Potstickers (Dumplings)- A traditional food made as a family on New Years Eve, these dumplings symbolize wealth and good fortune. 5) Bao- This authentic steamed bun based on the Pixar short film was actually inspired by the mother! Such a great alternative to traditional recipe cards and could really inspire your children to make their own animations based on their favorite recipes. 6) Instant Pot Chinese Spare Ribs- While not an everyday food here in Hong Kong, these do look delicious. 7) Vegetable Lo Mein- Noodles are a staple alongside rice here in Asia and this dish is sure to please even the most picky eaters. While most of these are not authentic, they sure are fun! Authentic Chinese Desserts are… different lol. Think green tea flavored ice cream and red bean… everything. 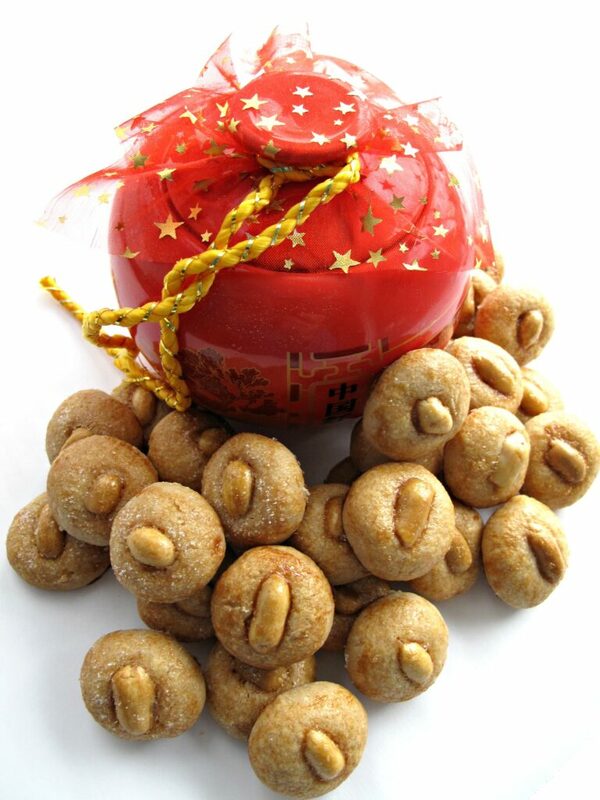 1) Chinese New Year Peanut Cookies– This is actually an authentic dessert. I can go down the road and buy some in a little shop right now. 2) Dragon Butter Cookies for CNY- While we don’t normally eat them in the shape of dragons, butter cookies are a staple here in HK because they are golden and so a symbol of good fortune. Boxes of butter cookies are bought up in order to give as gifts when you visit during CNY. 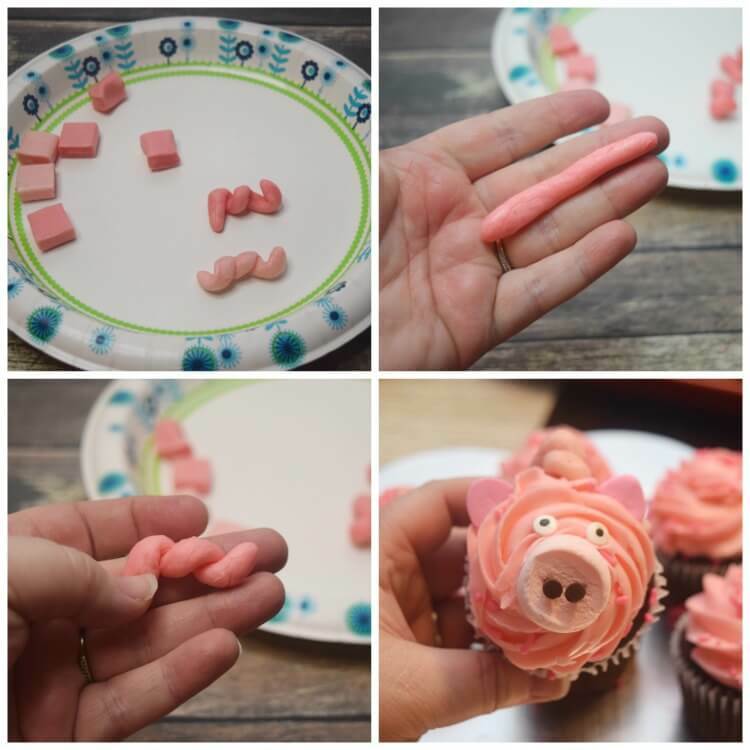 3) Year of the Pig Cupcakes– Umm who doesn’t love cupcakes?! Especially when you get to decorate them yourself! 1) In the week before the start of CNY do a big spring cleaning. I mean what a perfect excuse right?! It’s a cultural lesson! 2) Use the Paper Bag Lion Mask and drums to do your own lion dance performance. Want to see what it looks like? Here’s a video from last year’s Lion Dance in our village… just be careful they don’t try to hop on each other’s shoulders lol. 3) Practice writing Chinese characters. They have such interesting stories behind each one. 4) Once you have practiced, create your own red scrolls for the doors and windows. 5) Find a CNY parade nearby and go watch. 6) See if you can find a Chinese yo-yo and have a contest on who can keep it going the longest! 7) Plan a special family meal and invite anyone you consider family. 8) Use only chopsticks during CNY. 9) Learn how to play Mahjong- a very popular pastime here. 11) Draw what you think CNY would be like. 12) Invite some students from Asia that are studying abroad into your home and let them show you their culture. I know with a list this big you are sure to find something for your family to enjoy. I encourage you to push yourself out of your comfort zone and try a new food and activity. You never know you may really enjoy it! A special thanks to all who contributed to this post! Please visit their pages and show them some love! Wow, this sounds really fun! I’ve been to Hong Kong, but never for the new year. It might be a fun thing to do sometime because flights are super cheap there from here in Japan. I really love the paper bag lion mask. I might do that with my kids! Literally the best time to hit the theme parks are the first two days of the new year, almost empty lol! I’d love if you tagged me on IG if you do the craft!